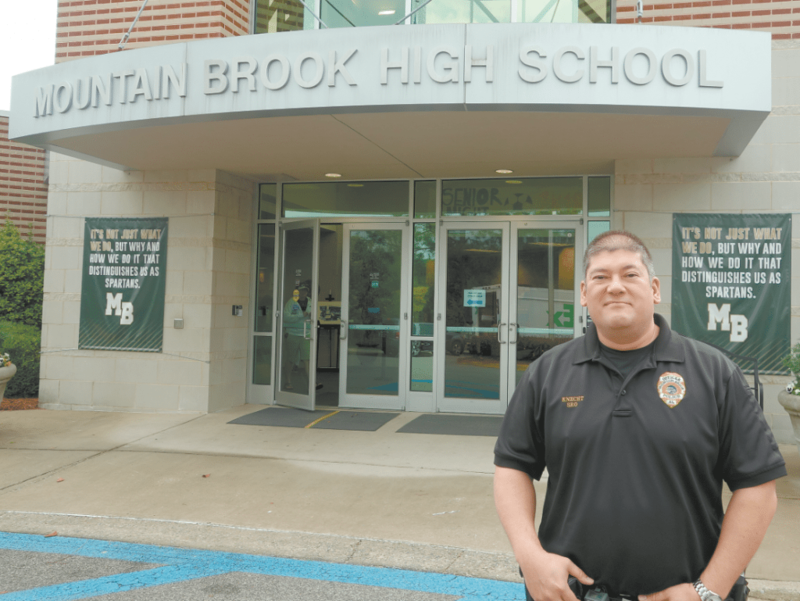 Officer Richard Knecht is Mountain Brook High School’s school resource officer. Journal photo by Sarah Kuper. High school seniors everywhere look forward to the rite of passage that is the prom. But Mountain Brook High School seniors aren’t just excited about picking prom dresses and renting tuxedos – they are excited about T-shirts. “These kids love a good T-shirt. They have them for everything and they wear them everywhere,” said Officer Richard Knecht, Mountain Brook High School’s school resource officer. 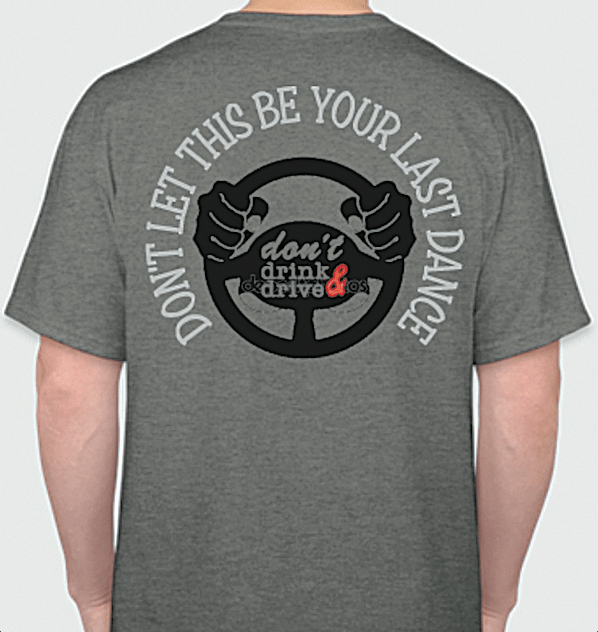 That’s why Knecht had the idea to design a T-shirt reminding students not to drink and drive on prom night. “I thought, the last thing you want is for your prom to be the last dance you go to because you or someone you are with is drinking and driving,” Knecht said. After Knecht thought of the T-shirts and the design, he knew he needed fund- ing quickly to get the T-shirts to students in time. Within days of sending an e-mail to the Mountain Brook Chamber of Commerce, Knecht had more than enough money in sponsorships from local businesses. “The response was overwhelming. We had what we needed almost in one day. We had to send an email saying to cut it off because it got to where we couldn’t fit all the sponsor names on the T-shirts,” he said. With the response from parents and the high school’s leadership, the police department and the business community, Knecht said it is a quintessential example of the spirit of Mountain Brook. “Everyone understands the issue, and if a T-shirt can prevent just one student from drinking and driving, that could save numerous lives of others in the car and on the road,” Knecht said. Affectionately known as “Officer K”, Knecht fosters relationships with students by being present but not prominent in their daily lives. In addition to everyday duties, Knecht spends nights and weekends at school functions and games doing more than his job description as a school resource officer. “I see these kids grow up. It is the best job in the department but you have to love kids. And teenagers are a real calling because they flip and flop so much. It can be hard to break through to them. Plus, they are just learning to drive,” he said. While a free T-shirt may seem a simple way to try to make a differ- ence, Knecht said it is symbolic of the greater picture – the way the Mountain Brook community stands behind the safety and well-being of its students.